Five Must Try E-Juice Flavors! Hey there guys! So, we are are looking for that perfect e-juice flavor pretty much all of the time. I know I am, at least, so I’m probably sure I am not alone. In that pursuit we here at Vapor Puffs have found some pretty amazing flavors and have brought them together for you to try! Below I’ll be listing my top five current flavors that I think are absolute must tries for any vaper around. So let’s get to it! This flavor is an absolute must try for anyone dying to taste some tasty cinnamon appley goodness. And I, for one, am always up to taste some tasty cinnamon appley goodness. 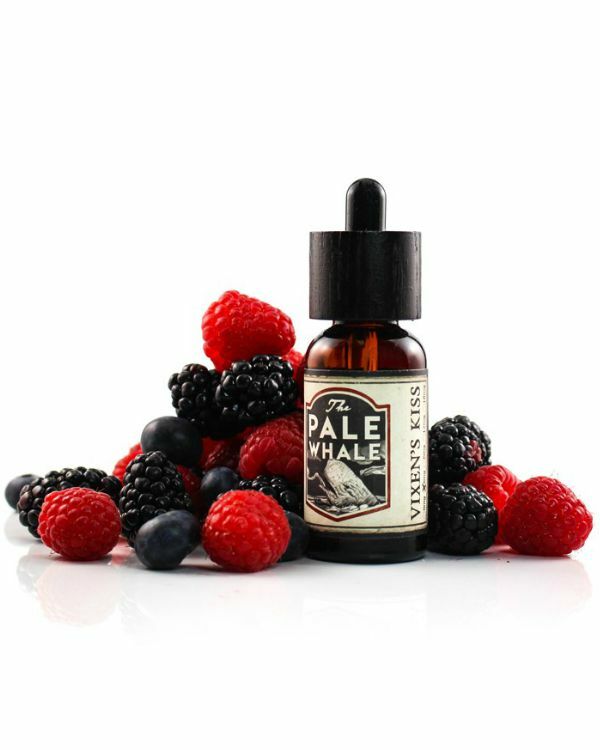 The Pale Whale also have only released a grand total of 3 e-juice flavors over the years. They take the pain staking time to get every flavor just perfectly right, no matter how long it takes! Now that, is something to get your paws on! Now, I know, I just started with another apple cinnamon flavor but honestly, you’ve got to try both of these! These apple cinnamon flavors are usually not the best around when it comes to most e-juice brands. Both Spice Trader and Slevin break this rule though. 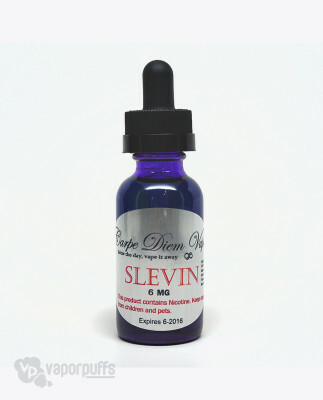 Carpe Diem Vapor’s Slevin is not only award winning it’s also one of the most unique and tasty juices around. 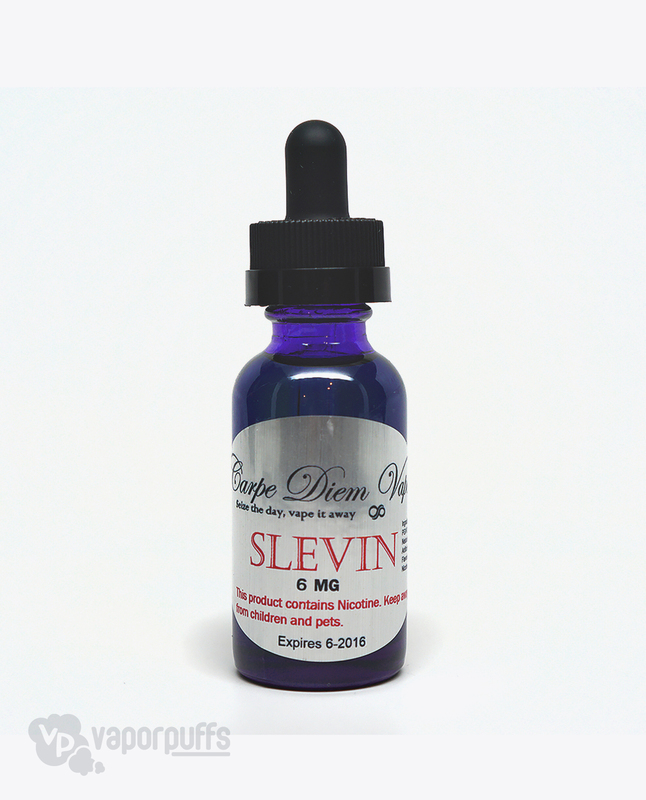 Slevin walks that fine line between deliciously sweet and obnoxiously sweet, teetering right on the fence giving you the most insane blast of sweet goodness. Trust me, you’ve just got to try it. 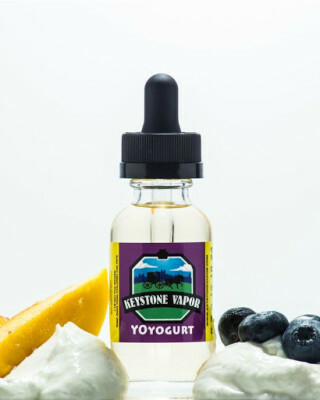 Keystone Vapor is known for some great all natural american made and sourced e-juices that pack some serious flavor! War Pig is no exception. It’s like sucking up a delicious taste of island life through your vape at any time you’d like. 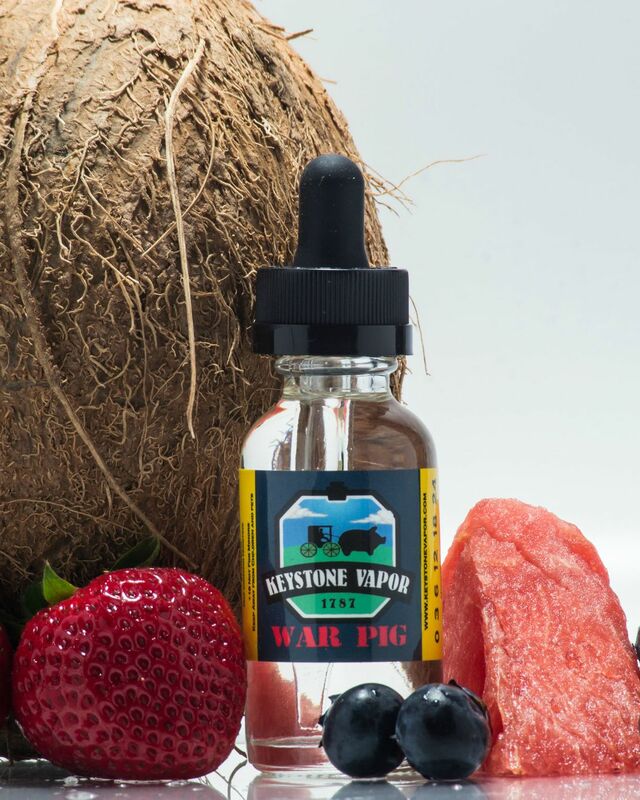 You get real fruit flavor, berries mixed with coconut and just a hint of delightful watermelon. I know I say it a lot, but this e-juice really is something you just have to have, and have to have a lot of. I vape this baby all day long! 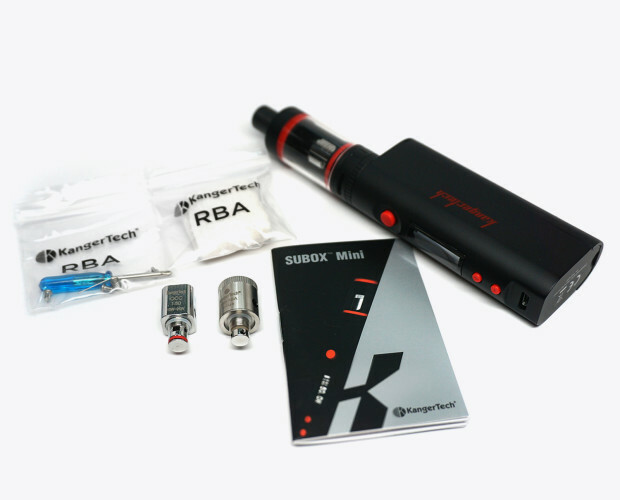 Five Perfect Presents for any Vaper! Hey guys! I know, it is early, but I’m already planning out my holiday season. I also thoroughly believe that I cannot be the only one doing so! So now that we’ve got that settled let’s get to some perfect present plans! We all know vaping gifts are the best gifts, so below I’ll be listing our top five perfect presents for any vaper this holiday season. 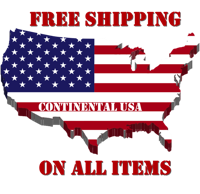 I will list out some great gifts that should help you fill out your Christmas lists for vapers both new and experienced. So lets get to it! 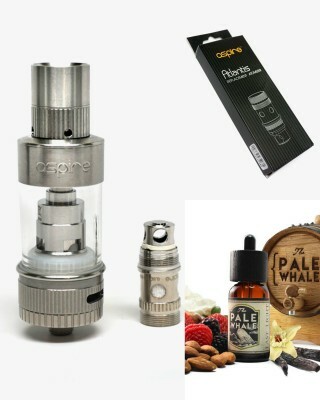 The Aspire Atlantis 2 Sub-Ohm Tank Bundle is a bundle exclusive to Vapor Puffs that is an absolutely perfect gift for any vaper looking to add to their collection. This bundle comes with the full Aspire Atlantis 2 Sub-Ohm Tank, a 5 pack of Atlantis BVC replacement coils, and your pick of any of our 30 ml bottles of e-juice. Get the whole bundle as the perfect gift or, even better, get the bundle and knock out a few small gifts in one! This Loire Vapeur Macaron E-Juice Trio is another great product exclusive to Vapor Puffs that is a perfect holiday set. 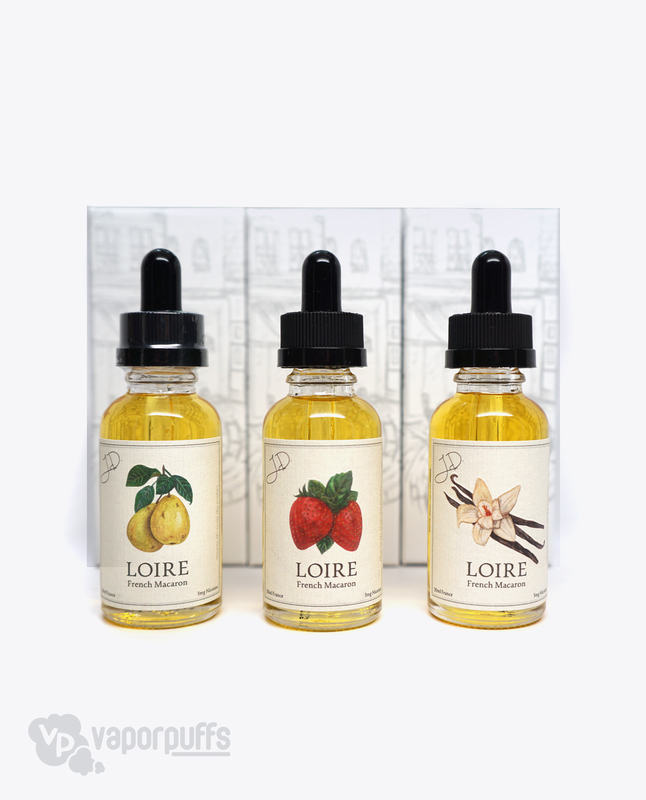 This trio comes with your choice of 3 Loire Vapeur e-juice flavors, you can try all three or you can stock up on your favorite flavors. You get the customize it as you like! These e-juice flavors are absolutely perfect for any vaper you know looking for both high quality and exotic tastes. These flavors are imported from France and all are filled with the delicious taste of Macarons. 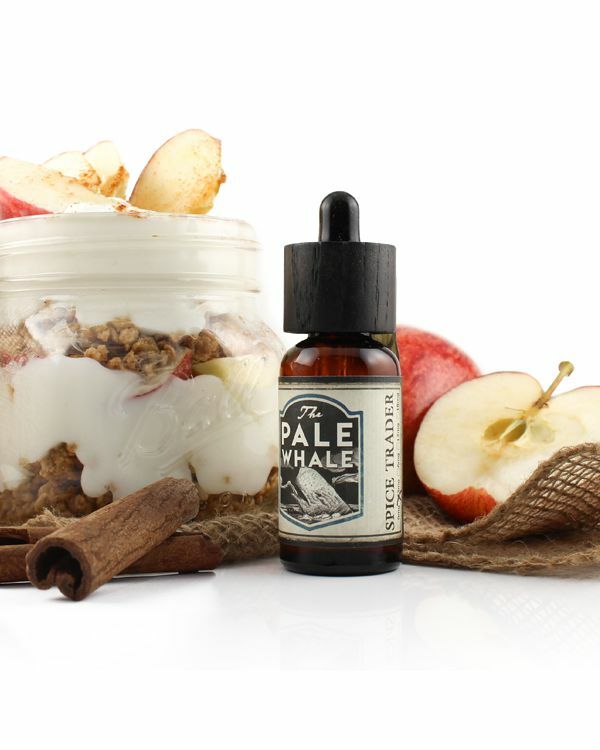 Upon inhale you’ll taste the fruity complex flavors of pear, strawberry, and even delicate vanilla and you’ll be encompassed by the scrumptious taste of rich tasty macarons during the exhale. This set is the perfect gift for any vaper, especially one looking to treat themselves on occasion! 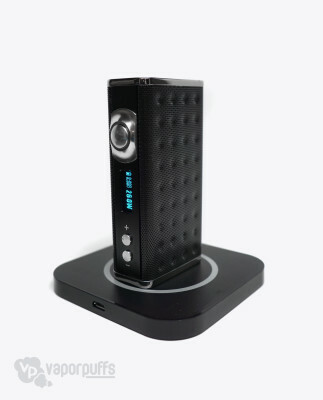 The Eiffel T1 165W Box Mod By Esige is probably most every vape enthusiasts dream gift to receive. It’s the perfect high quality box mod by Esige that goes all the way up to 165 Watts, has a great display, wireless charging capabilities (and the great charger that comes with it! Seriously, check and see if you other electronics will work on it as well), and oh so much more! Don’t want to spend that much on a gift? Better just buy it for yourself then! 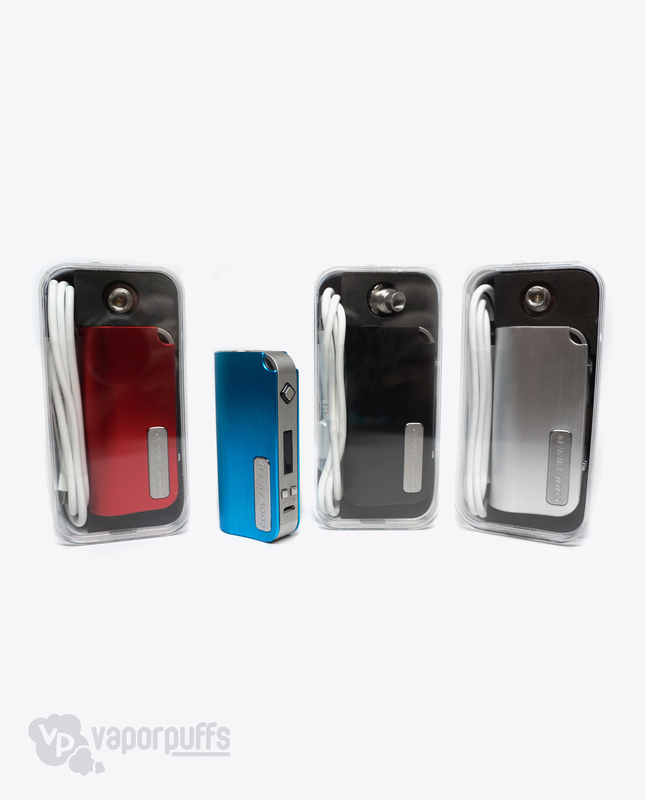 Looking to spend a bit less on a killer box mod for your pal? 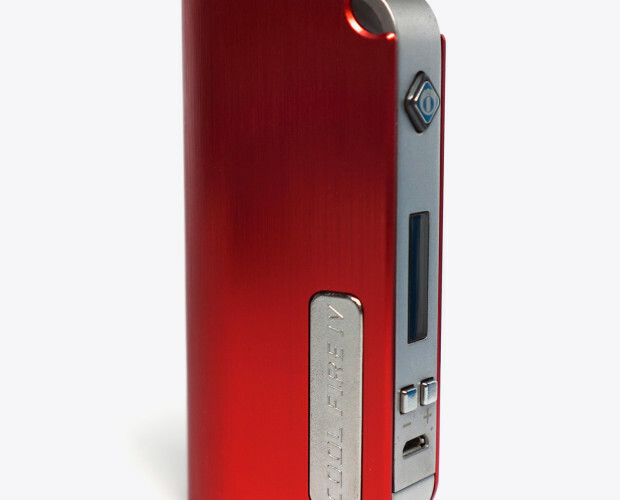 Well then, you should definitely check out the Innokin Coolfire IV Mod 40W! This killer box mod comes in four great colors, goes all the way up to 40 watts, has a great variable voltage range, comes with a handy built in battery, has a great spring loaded 510 connection, and is even charged with just a micro USB! Talk about easy charging on the go. 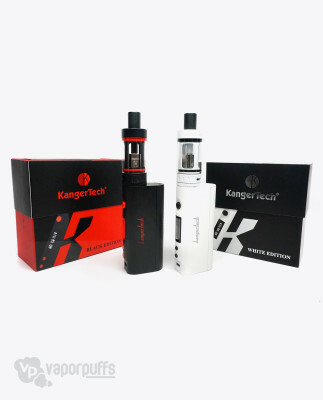 At under $40 total this kit is the perfect gift for any vaping friend. Especially if you get it in Christmas Red! Five E-Juices you have to try! We know, the number one pursuit of any vaper is that perfect e-juice. We also know that it is a never ending pursuit. Well, we’re here to help you dive a bit deeper into that obsession! Below we’ll be listing five top picks that our staff is just obsessed with and think you just must try! So lets get to it! Spice Trader would be best described as a fancy super delicious elevated take on Cinnamon Toast Crunch Cereal mixed with apples and yogurt. Anyone else eat that as a kid? Just me? Okay. It’s the perfect one for any cinnamon lover, a real must try. Looking for a taste of summer in the harsh cold winter to come? War Pig is the one for you! 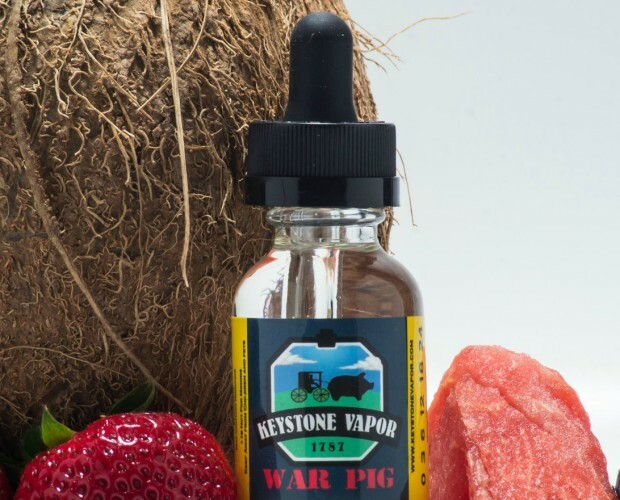 This delectably delicious e-liquid infuses the light fresh taste of real coconut with tropical fruits and berries. It’s perfect for everyday use! 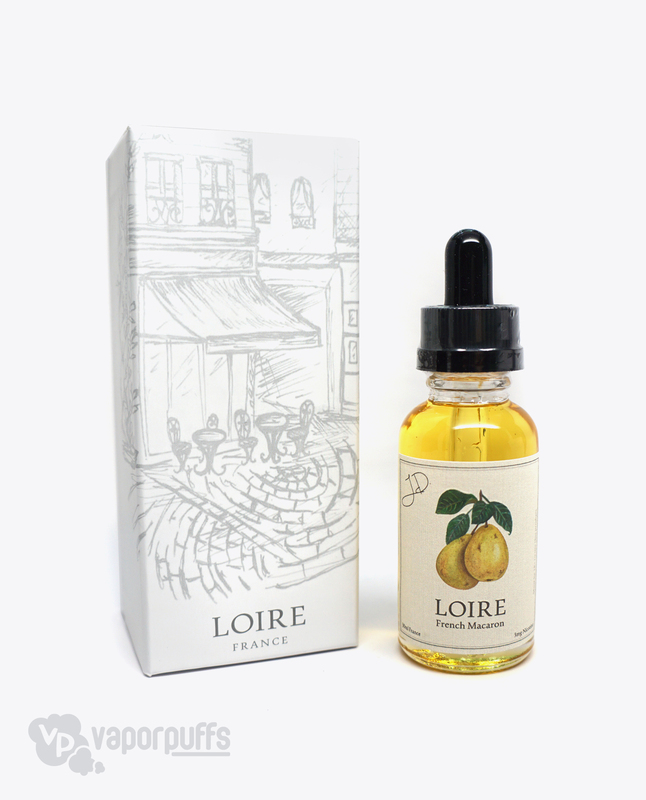 Imported from France, Pear Macaron E-Juice by Loire Vapeur is the perfect e-liquid for anyone looking for a delicious and interesting complex flavor. This product overwhelms you with intense pear flavor during the inhale and scrumptious warm macaron flavor on the exhale. An absolute must try! I know, I know, so many fruit flavors. But, it’s not quite what it seems. Unlike most “yogurt” flavors, YOyogurt by Keystone Vapor tastes heavily of pure greek yogurt with just a hint of berries and peaches at the end. A total must try for our customers who keeps trying to find a yogurt flavor that actually tastes like yogurt. Lastly, and certainly not leastly, is Vixen’s Kiss by The Pale Whale! This one is honestly my absolute favorite. It’s ultra moist to the point where it leaves a slight hint of juice on your lips and is the perfect mix of tart and sweet. If I could vape only one for the rest of my life, this baby would be it!